What's wrong with the Indian genes? I have traveled a bit of the world, and my last trip was to Sri Lanka a couple of years ago. When I went to Melbourne, Australia, it struck me as a "civilized" society in the true sense and I admired the civic sense of being considerate about your fellow beings, following traffic rules and showing respect for other people's space. And I thought that this was a "white sensitivity" that I had witnessed. Then I visited some parts of Asia- Nepal, Philippines, Malaysia and Sri Lanka. I had anticipated brotherhood and similarity with India. I was disappointed. The streets were clean, people humble, and traffic- well organized. Cars gave way to pedestrians and cyclists were given space on the same road as other vehicles. In most situations, I was quite amazed to see cars exactly in the middle of their lanes and exactly the same number of vehicles as the number of lanes on the road. When traffic was slow or jammed for any reason, people didn't just try to cross over to the middle of two lanes to congest the roads. That brings me to the question in the title of this piece- What's wrong with the Indian genes? Some of my well-meaning Dilli-walla friends have argued that the impatience in jumping a red signal, when nobody is on the road, is a sign of creativity and zeal to move quickly. Another equally well-meaning Aussie friend remarked the other day that Indians seem to be always in a hurry to reach somewhere but were always late for meetings. This dichotomy in observations once again drives the point about something fundamentally wrong with our upbringing or even with our genes. Historians often attribute this unruly behaviour to the years of British oppression. I would rather imagine that the British rule would have brought more discipline in our forefathers unless, of course, the British of those times were the opposite of what they are today, strictly referring to this context. Going back in my childhood memories, I can't recollect my parents ever telling me not to behave well or not to keep surroundings clean. Neither can I recollect any of my friends' parents teaching their children to be unruly. However, I can clearly remember that it was a routine matter to see people litter the railway compartment or the roads as if it was someone else's job to clean them later. Growing up, I also noticed that people coming back from foreign trips commented on how clean those places were and how they were reprimanded by the local people/ police whenever they behaved like they did in India. Nevertheless, they just resumed behaving in the same "Indian" way as soon as they landed back home. I have two partial explanations to this strange phenomenon. 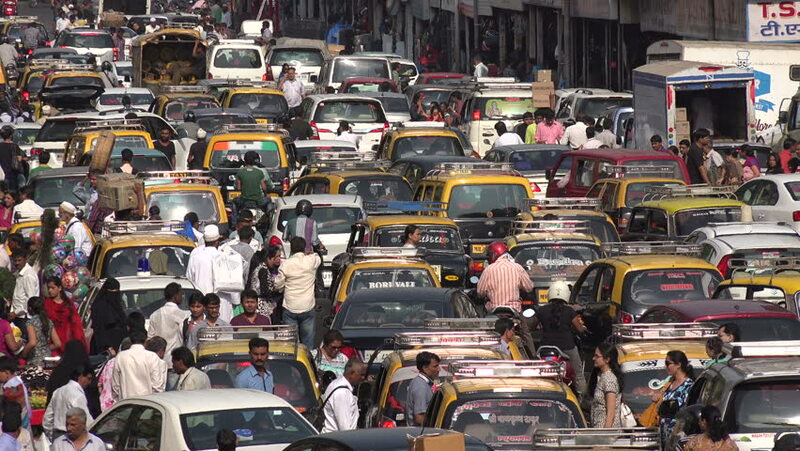 As for seeming to rush in traffic, we are always in a state of perpetual competition. Since early childhood, on the pretext of a large population, we are trained to compete for the simplest and most innocuous of things like a chocolate or grades in school. We are always encouraged to fight it out and eventually compete in IITJEE and later CAT. This competitiveness gets hardwired into our circuits and passed on to the next generations and the roads offer the perfect arena to practice these "get ahead of the guy in front of you" skills. The second situation about littering around (except inside of our homes) is a more complex symptom of the VIP culture that plagues our social fabric. We feel privileged to have someone else clean up after us. The bigger the car (or the house or the muscle), the more privileged we feel and even more high-handedness in dealing with others. When I see people throwing stuff out of a car, the need to have the car clean is combined with a sense of privilege and a tacit assumption that the walkers (and hence, less privileged) will clean up the mess. Ditto with dealing with our rivers, air and the like. Our PM Modi's pet project, Swacch Bharat, is fighting against our genetic constitution and will be hard to execute. After I did a few foreign trips, my sense of civic responsibility and traffic improved. At the risk of sounding pompous, I maintain that I was anyway one of the anomalies in the genetic context. I am certain though that it would make a big difference to let our people experience the way foreigners behave in their home countries. Travelling abroad will be a big expense but we can be innovative in our approach to bring that experience back home. Bollywood and education can make a positive impact.